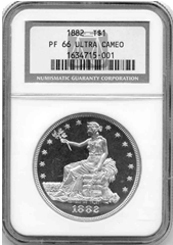 Description: One of only a handful of trade dollars in 66 ultra cameo. The coin is black and white. 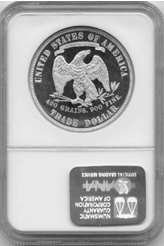 Trade dollars are extremely rare in ultra cameo.